​At Reach-U we consider a work to be of good quality when it satisfies customer requirements and is made economically. ​Confidence of our customers is of utmost importance to us. This confidence is earnt through fulfilling our promises and consistently producing high quality work. Good quality promotes work satisfaction. Firstly for the doers themselves, who are pleased by a job well done, then for their colleagues, since little work at Reach-U is done alone, and finally, for the customers, who can derive more pleasure from their work when using Reach-U's quality products and services. It is the customer who measures quality. Whenever possible, we will analyze our work together with customers during the project and upon completion. We value also our supplies and give them constructive feedback as good customers. People at Reach-U use their heads. Employees who work with their heads formulate their tasks themselves, reason their individual contribution to the joint achievements and formulate objectives for themselves. Employees, rather than equipment and materials, are the primary key to Reach-U's success. For Reach-U employees, the freedom to make one’s own decisions also brings with it a large responsibility. The management at Reach-U has the added responsibility of motivating for higher goals every year and seeing them through. Our company culture values continuous monitoring of mistakes and deviations, which should be dealt with in positive way. Feelings of imperfection motivates Reach-U employees towards further improvement. Reach-U’s management at all levels serves the employees working directly with our customers, not the other way around. Our aim is to achieve even higher quality by constantly questioning what we do, by continuous improvement, and by better understanding of our customers’ expectations. 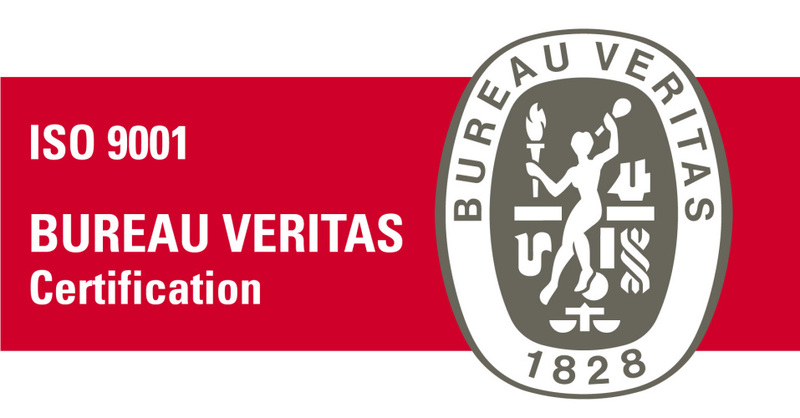 Reach-U quality control system is certified by Bureau Veritas to be compliant with ISO 9001 quality management standard.